The Tool is intuitively easy to use - yet enormously versatile. The services available through ‘The Tool’ interlink like gears and complement each other beautifully. The property management team and craftsmen always have all fault and damage cases at a glance using the web application and can deal with these in a structured fashion, as they are ordered by priority, location and type, and can also document all measures. 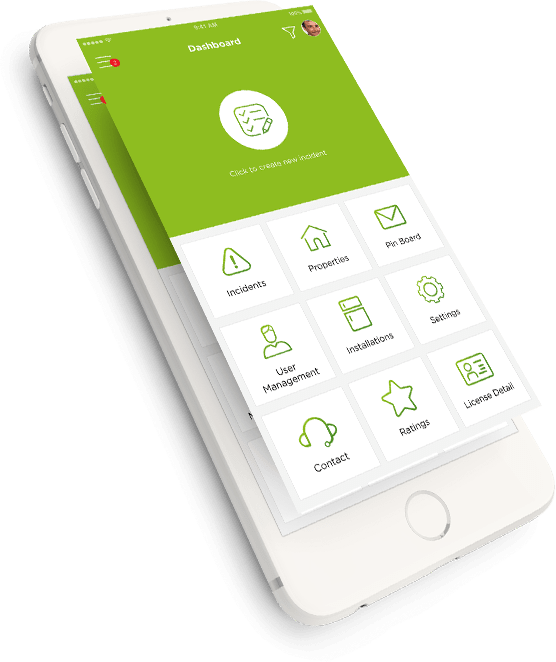 Tenants can report possible faults and damage with a few clicks 24 hours a day via the free, intuitive smartphone app. 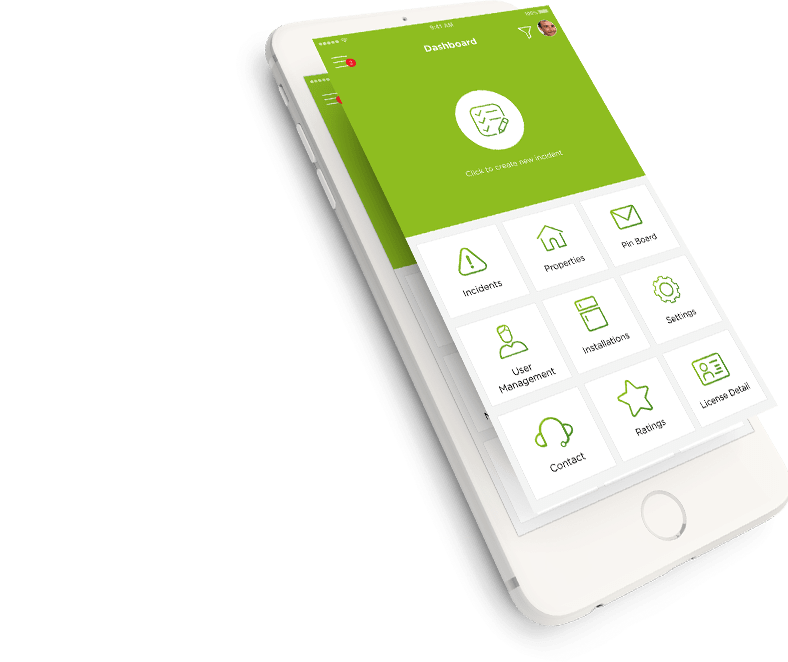 In addition, the smartphone app allows appointments to be arranged between craftsmen and tenants directly- quickly, easily and securely. A digital wall on which tenants and the property management team can post news, tops off the package on offer with ‘The Tool’. 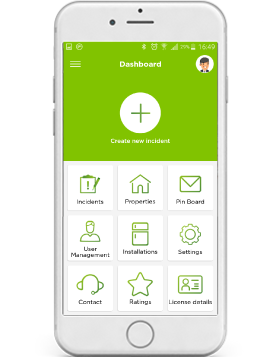 As tenants, you can record and report possible faults or damage with a few clicks. Easily, quickly and at any time, on any day, and with additional detail due to the photo and video function. Via the digital wall, you can share tips and tricks and talk about your property with other residents – just like a chat function – and get important information from the property management team straight to your smartphone. Craftsmen can arrange an appointment with the affected tenant directly via the smartphone app. Upon completion of a case, it can also be used to rate the quality of the work carried out. 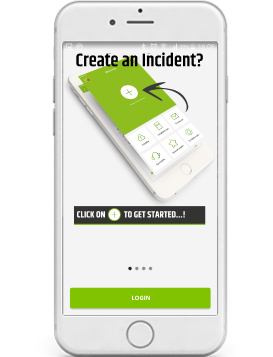 With the smartphone app from ‘The Tool’, you can record any potential fault or damage yourself 365 days a year, 24 hours a day with a few clicks, and report it to the property management team with photos or videos. 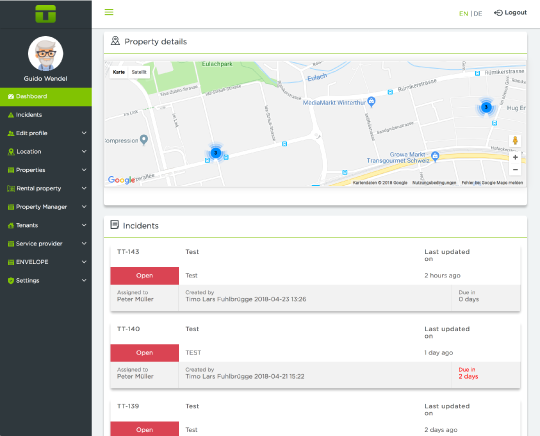 The most important data on your rental property, the building it’s in, as well as central information on all installations and devices are stored in ‘The Tool’. Therefore, your case is quickly recorded in detail and contains all required information, guaranteed. This prevents any misunderstanding, saves time spent on further queries and ensures transparent communication throughout, as well as the documentation of subsequent measures. When you open the app, you can be given a quick explanation of the most important functions available with ‘The Tool’. Clear icons provide intuitive user guidance and make ‘The Tool’ particularly simple to operate. You can also upload photos or videos alongside a description of your case to illustrate your problem. The web application for property managers and craftsmen provides a comprehensive overview anytime. As property managers or craftsmen, you have everything under control anytime thanks to the clarity created by ‘The Tool’. At a glance, you can see where there are faults or damage, and in which property, what priority each case has and what the respective status is. As a member of the property management team, you can request tenders and issue orders. As a tradesperson, you can submit tenders and arrange appointments with tenants directly.